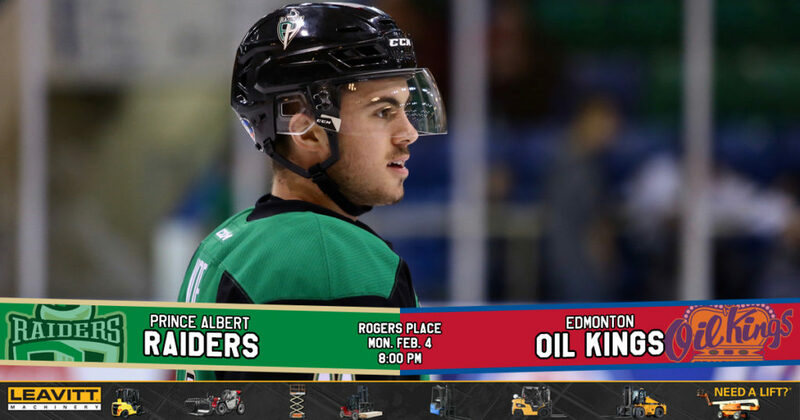 RAIDER REVIEW: The Raiders (42-7-0-2) begin a week-long Alberta road trip tonight at Rogers Place against the Edmonton Oil Kings (29-15-4-4). 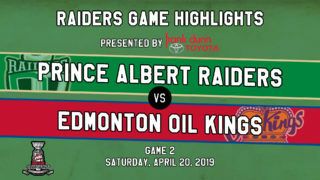 On Saturday at the Art Hauser Centre, the Raiders won a back-and-forth contest over the Moose Jaw Warriors by a score of 4-3. Brett Leason tallied the game-winning goal with 2:25 remaining in a game after the teams traded goals. Cole Fonstad scored the opening goal of the game and added an assist. Brayden Pachal also had a pair of assists in the win. Sean Montgomery and Kaiden Guhle scored the Raiders’ other two goals. Ian Scott stopped 28 shots to earn his 29th win of the season. 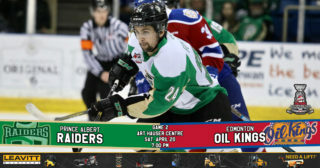 VS. EDMONTON: Tonight is the final game of the four-game season series between Prince Albert and Edmonton. 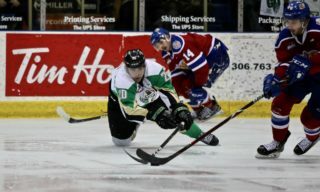 The Raiders lost the last matchup between the two teams on Friday night at the Art Hauser Centre. MILESTONE MEN: Three Raiders will reach games played milestones in their next appearances. 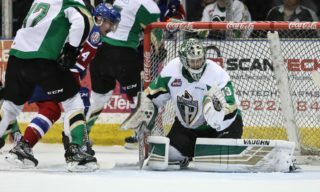 Sean Montgomery will tie the Raiders’ all-time games played record at 330 games; Dante Hannoun is set to play in his 300th career game; and Max Martin will suit up for his 200th career WHL contest. GUHLE’S GOAL: Kaiden Guhle’s second-period goal on Saturday night was the rookie’s second goal of the season. It also snapped a 35-game goalless drought. 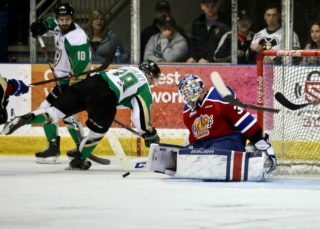 Guhle’s other goal was scored on October 24, which was also a game against the Moose Jaw Warriors. HALF A CENTURY: With an assist on Cole Fonstad’s first-period goal, Zack Hayes reached 50 career WHL points on Saturday night against the Warriors. The defenceman from Calgary is having the best offensive season of his WHL career, tying his career high with three goals and setting a new bar with 18 assists. LEADING THE WAY: Brett Leason scored his ninth-game winning goal of the season on Saturday night against the Warriors, which is tops in the WHL. The goal snapped a mini four-game drought without a goal for the Calgary product. Leason continues to lead the Raiders with 32 goals and 43 assists in 43 games played. NEXT UP: The Raiders are off until Friday night when they faceoff against the Calgary Hitmen (26-19-4-1) at the Stampede Corral as part of the Corral Series. Game time is 8 p.m. The next Raiders’ home game is on Friday, February 15 when the Brandon Wheat Kings come to town for a 7 p.m. start. Get tickets at raiderhockey.com and the Raider Office.